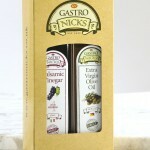 White Balsamic Vinegar, matured for approximately 3 years, giving a delicately sweet vinegar, ideal for fish, mozarella salads or as a salad dressing. Stocked by popular request. 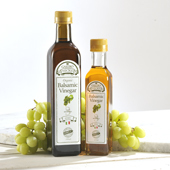 Our pink-tinged organic white balsamic vinegar is made from the white/green grape must at a lower temperature. 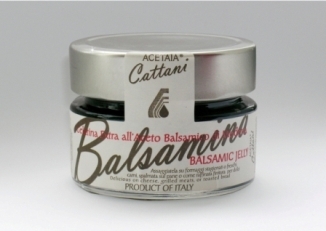 This balsamic is aged for no longer than 4 years to prevent discolouring. For those who do not wish to have the darker balsamic finish, finish, white balsamic makes the perfect accompaniment to paler dishes such as fish,mozzarella or a light salad and is especially good with traditional Fish and Chips. 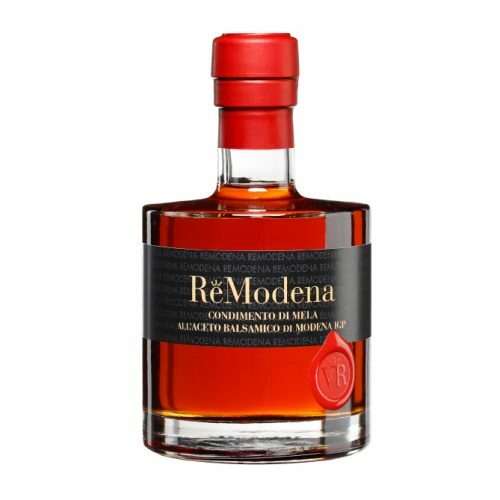 This organic “Biologico” Balsamic is sourced direct from Modena.